Every year, I try to do a movie watch-along, where I watch an Austen movie and live tweet it as I do so, and invite you guys (gals, probably) to watch and tweet along with me. I know that it's not possible for everyone who wants to watch along to do so, purely due to timing (I mean, a good evening show time here in the Mitten might be the middle of the night for some of you, or the time you're usually struck in rush hour traffic, etc.). BUT THAT'S OKAY! 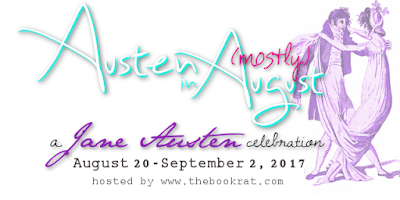 I encourage you to watch it and tweet (hashtag #AustenInAugust, of course) or weigh in where and when you can! Especially because this year's film promises to be a fun one! 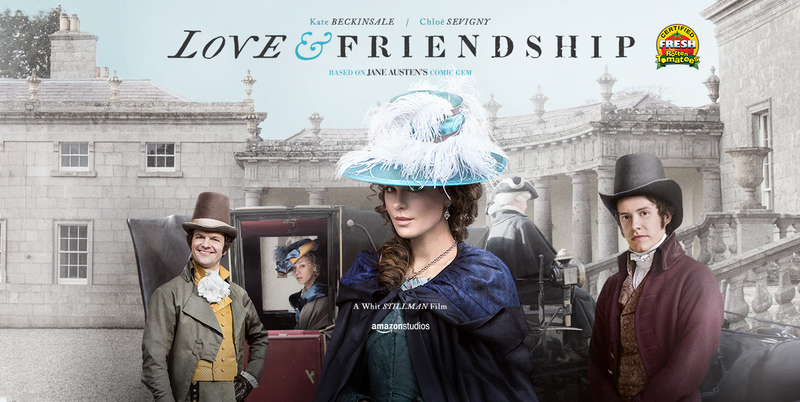 Since our group read is Lady Susan this year (a super quick read, you should join us), we're going to be watching Love & Friendship! I somehow haven't seen this one yet, even though it looked so hilarious that I'd intended to do something I rarely do, and see it in an actual theater. And even if you haven't -- and don't intend to -- read Lady Susan, this is truly something anybody can watch, and most people will probably enjoy. I mean, it has the amazing Kate Beckinsale in it, how could it go wrong? So I hope you'll join me for our 2017 Love & Friendship Watch-Along, next Tuesday (not tomorrow, trying to give you lots of warning!)! I have seen it and will enjoy watching it again. I will definitely try to make this Twitter movie watch. I loved it the first time in the theater. Is that 8pm EST or 8pm Central?? Oh, I really want to join in! Loved this film - one of the few Austen adaptations to emphasize her comic aspect (though I object to the ending - why I want my share of the conversation!). You're watching at 2:00 AM my time, and on a night when I'll be in a hotel room with my whole family sleeping nearby, but maybe I can sneak into the bathroom and participate. Will try!